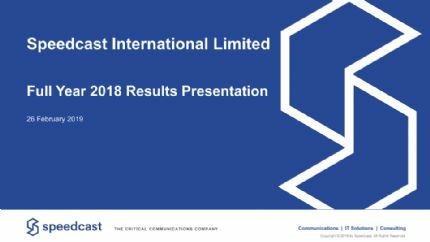 Sydney, Feb 15, 2018 AEST (ABN Newswire) - Speedcast International Limited ( ASX:SDA), the world's most trusted provider of remote communication and IT solutions, today announced it has extended its relationship with the largest consumer of satellite bandwidth in the cruise industry, Royal Caribbean Cruise Lines (RCCL), which will be further increasing the bandwidth delivered across 37 ships. 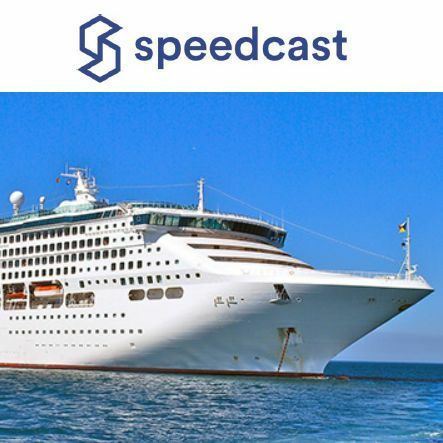 "Speedcast has been an integral part of our long-standing efforts to implement the latest connectivity solutions that allow us to provide enhanced communications for everyone, from our guests onboard to our employees onshore," says Guillermo Muniz, Director, Network and Satellite Engineering at Royal Caribbean. "We are consistently raising the bar on ship innovation and increasing requirements, and Speedcast is right there with us, collaborating to make sure that we have the infrastructure and support to deliver the best experience." Speedcast's experience with Royal Caribbean dates back to 2006, when the company installed RCCL's first Ku-Band VSAT antenna onboard a vessel to satisfy peak seasonal communication demand in the Brazil region. The Speedcast network now delivers fully managed communications solutions and value-added services to 37 Royal Caribbean brand ships for shipboard administration, guest and crew usage. Multiple antennas on each ship with seamless automatic failover between Ku-Band and C-Band ensures high availability and Service Level Agreements (SLAs). "We have a true partnership approach to our relationship with Royal Caribbean," says PJ Beylier, Speedcast CEO. "As one of the largest cruise line brands in the world and one of our largest customers, we are proud that they continue to trust our expertise in designing and deploying reliable solutions that connect their ships to shore and provide a premier guest experience onboard. Over the past 11 years, we have seen tremendous growth in Royal Caribbean's business, and we look forward to helping them continue to develop their brands as they introduce new ships and look for innovative ways to enhance guest and crew experiences." For more information about Speedcast's capabilities for the cruise market, visit www.speedcast.com, and for information about Royal Caribbean cruises, visit www.royalcaribbean.com.